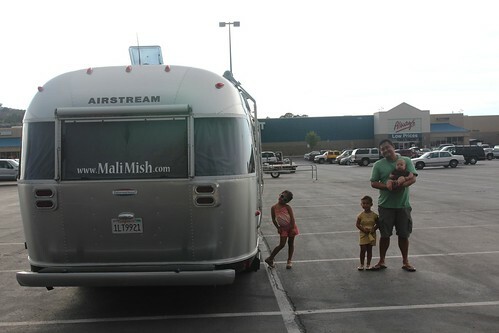 Mali Mish - Day 1: Escaping the Las Vegas Desert Heat in Utah. We have had some really great experiences at the Silverton Casino in the past. But I think we have had our last stay there. It used to be a nice, quiet and family-oriented place but now it seems like they are trying to cater to a whole different clientele. Our first day there, we witnessed 2 groups of young people brawling in the elevator hallway with one guy’s head split-open with a beer bottle that left blood everywhere. They seem to have severely cut the staffing as well since no security personnel broke up the fight for 10-20 minutes while the Las Vegas Metro PD finally arrived. 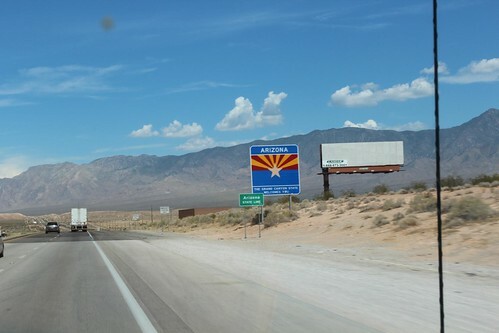 Now that the visit is behind us, we got on I-15 and headed east towards Arizona and Utah. I feel that the older I get, the more I want to get my gambling itch from the place for MLB betting sites online and that will be that, no need for the chaos anymore. This part of I-15 is a stretch that we have never driven before. Our only visit to Utah with the Mish has been at the Four Corners Monument. I know it wasn’t a ‘real’ visit to Utah but we have in claimed it in the past on technicality. 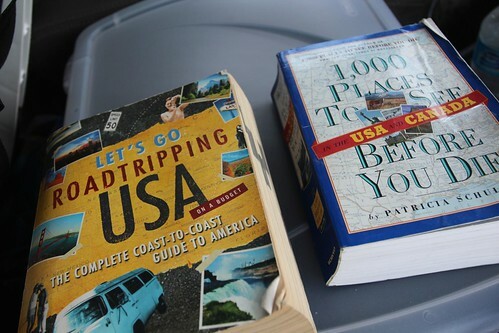 We got to bust out our old road trip books to see what places we might get to see along the way. The plan is to get up to the higher elevations of Utah to get some temperature relief. It has been in the triple digits almost every day and if we are going to comfortably boondock tonight, we will need it to drop to at least around the 80s. 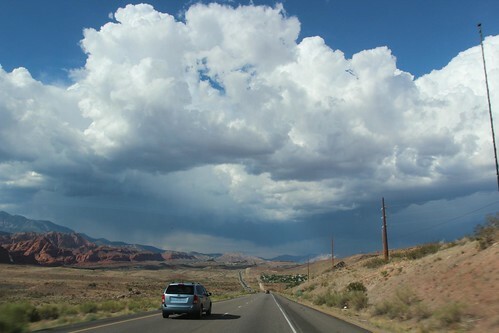 Along I-15 from Nevada to Utah, the road cuts across the northwestern corner of Arizona. 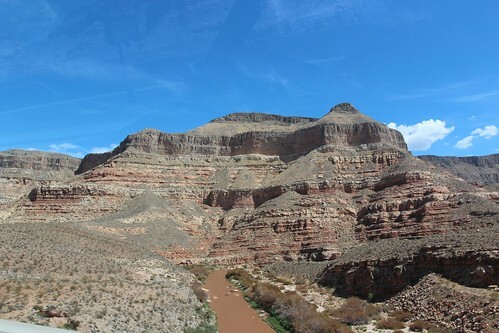 It’s about a 30 mile stretch of road that starts shortly after the small casino town of Mesquite, NV and just ends just before town of St. George, Utah. The drive was blistering hot to do during the day but we were glad we did it. The rock formations were amazing and beautiful to see within the comfortable confines of our air-conditioned van. 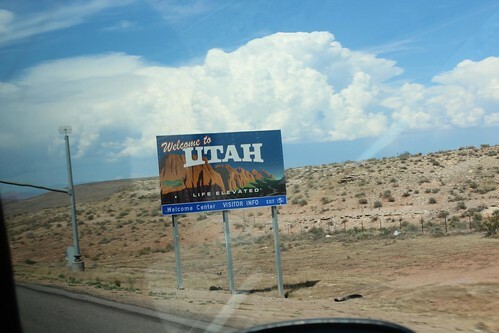 Once we crossed over the border into Utah, we could now honestly and officially add it to our list of visited states without the Four Corners asterisk. 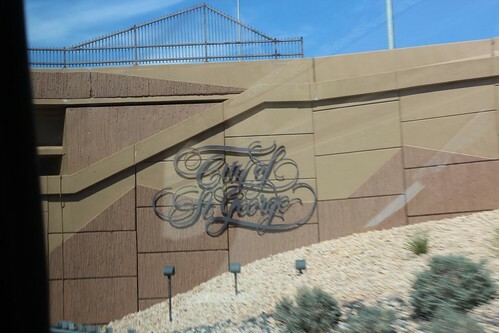 We initially contemplated an overnight stay at St. George but since it is only 800 ft higher in elevation than Las Vegas and still in the desert, it wasn’t any cooler. We were surprise to find out that In-N-Out had opened a new location here right off of the freeway. 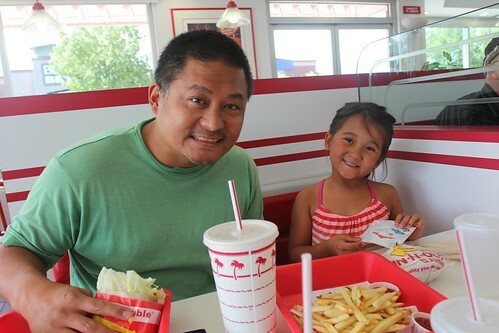 We couldn’t help but to make a quick lunch stop to get our favorite burgers. Our goal for the night is to make it to the small town of 20,000 people 50 miles north or St. George named Cedar City. At nearly 6,000 ft, it will be a good 10-20 degrees cooler and they have an overnight-parking-friendly Wal-Mart right at the edge of town. Even with the looming thunder clouds in the distance, we headed up the road in search for milder temperatures. We were relieved to arrive in Cedar City to find that it was a beautiful 79 degrees and no thunderstorms. One of the new things Marlene is doing with the girls to help make this trip more memorable is making daily entries into their very own scrapbooks. We brought along a portable photo printer that the girls can choose to print a photo from their favorite event of the day. 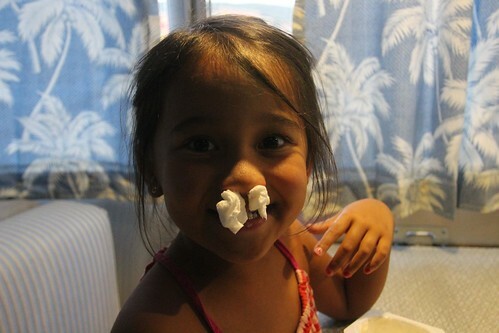 Mila decided that her favorite moment was Ava stuffing tissues in her nose to stop her bloody nose. Marlene also asked her to describe the day and these are the gems she came up with. I know, she is very eloquent. 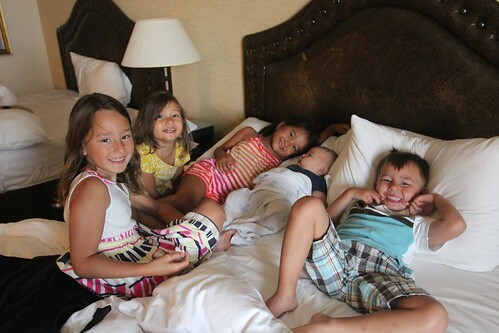 Ava on the other hand misses her friends already and wanted to print this photo. She is a little better at describing the day’s events but we will work on her run-on sentences another day. 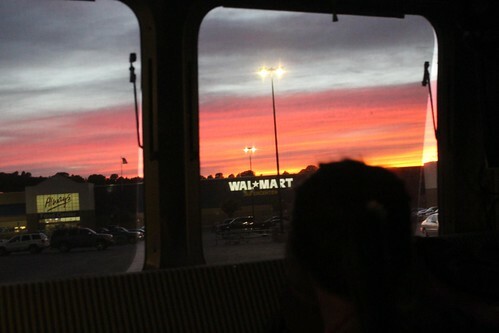 Good night Wal-Mart and the beautiful Utah sunset. Can’t wait until tomorrow to start doing some exploring. 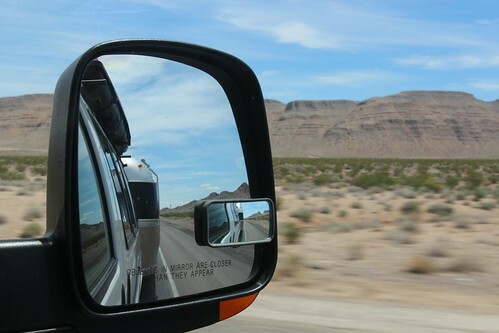 3 Responses to Day 1: Escaping the Las Vegas Desert Heat in Utah. The scrapbook idea for the girls is so sweet! !